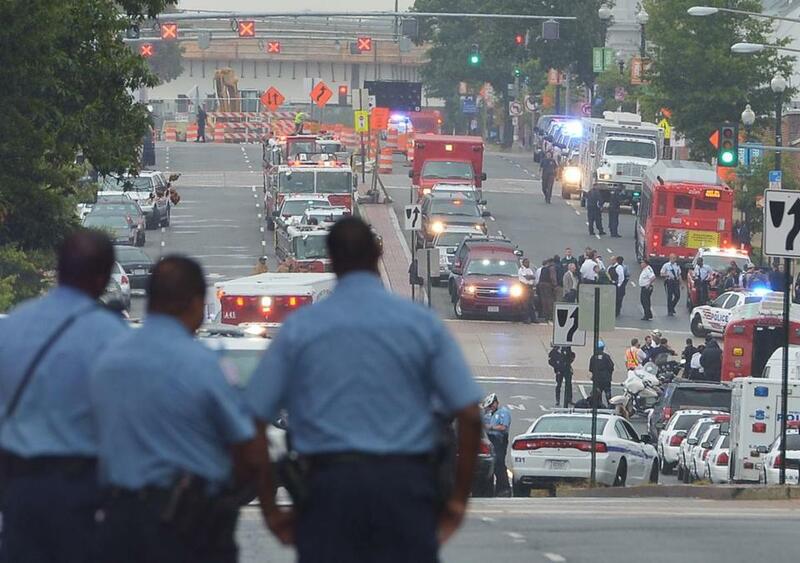 Law enforcement officials worked in the aftermath of a shooting at the US Navy Yard in Washington, D.C., in 2013. The number of “active shooter” incidents in the United States has risen over the past decade and a half, according to a new report from the Federal Bureau of Investigation. That’s up from just one “active shooter” incident in 2000, the earliest year for which the agency has tracked the violent occurrences. “The FBI remains dedicated to assisting state, local, tribal, and campus law enforcement in developing enhanced prevention, response, and recovery practices for active shooter incidents,” the report added. The report was released this week as the nation grieved and looked for answers in the wake of a shooting at a gay nightclub in Orlando, Fla., in which 49 people were fatally shot by a man who was later killed by police. The FBI report did not consider any incidents in 2016. The number of active shooter incidents recorded in 2015 was tied with 2014 for the third-highest total in any single year since 2000, the report says. The only two years with higher totals were 2010, when there were 26 active shooter incidents, and 2012, when there were 21, according to the FBI. Data from the agency shows a general upward trend over the 16-year period. The new report built upon a previous study by the FBI that covered the years 2000-2013. The new data, for 2014 and 2015, showed that the 40 total incidents over the two-year period spanned 26 states, killing 92 people and wounding 139 others, not counting the alleged shooters. Thirty-nine of the 42 alleged shooters in those incidents were men; three were women. Sixteen of the alleged shooters committed suicide, 14 were killed by law enforcement, and 12 were apprehended. The attacks included the high-profile shootings on Dec. 2, 2015, at a building in San Bernardino, Calif.; on Oct. 1, 2015, at Umpqua Community College in Oregon; and on June 17, 2015, at a church in Charleston, S.C. The FBI’s previous study recorded 160 active shooter incidents between 2000 and 2013. Those incidents left 486 people dead and another 557 injured, not counting the alleged shooters. Other organizations track mass shootings. Each of the groups define mass shootings differently, leading to a dramatically variations in how the incidents are counted.